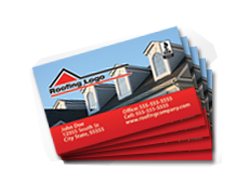 Roofer Postcards, Door Hangers, Leads & More! 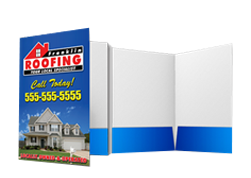 Since 2001 Hail-Mail™ has provided Roofers with print & mail service at UNBEATABLE PRICES. Our service and commitment to your success makes us your #1 choice. Let us help you win more jobs while keeping your costs LOW. Target the damaged areas fast with postcards. Have these ready to give to potential customers. These glossy folders give off a professional appearance. Expand on your company's history and credentials. Get your local phone number set up quickly. 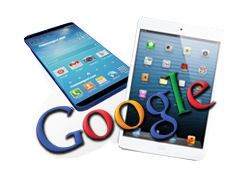 Get found online with great placement on Google. Great value on these quality business cards. 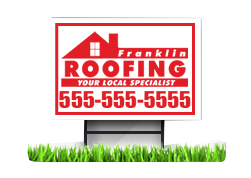 Get quality exposure with yard signs. Get More Leads, Spend Less Money, Fast! 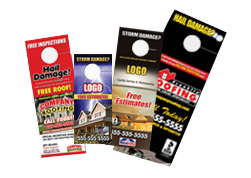 We do millions of direct mailings a year for roofing and dent repair companies nationwide. Using highly efficient resources we are able to market to storm and hail damaged areas immediately after the storm. We can go by the area you tell us or use a hail swath report. This process is the fastest and most efficient way for roofers to get roofing leads after a storm hits. Even mailing to old storm damaged areas can produce leads. 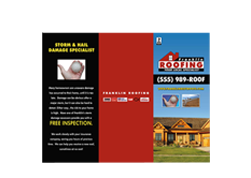 Let us help you find hail storm damage! 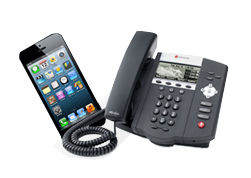 To start this lead generating process just give us a call or use our contact form. Let Us Help You Start Producing Quality Leads Today! CLICK HERE TO START GENERATING LEADS & SAVING MONEY! 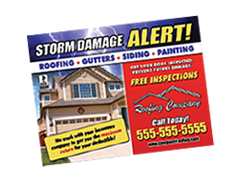 When a storm hits, we get your postcard ad to market fast! Our fast response puts you ahead of the competition. One call does it all. Design, Printing & Mailing. No hidden fees! No need to call local printers & mailers. Just call us once. Lowest postal rates. Big discounts for recurring customers.